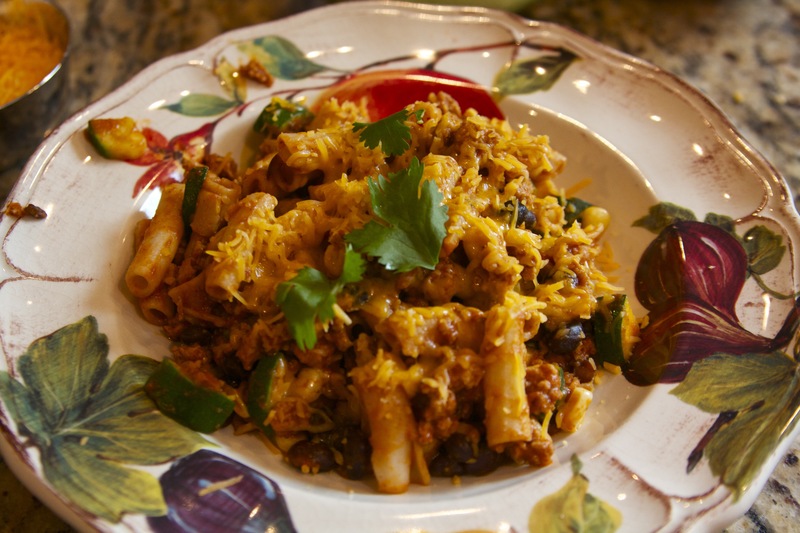 mama jess bien good mexican pasta – fast and healthy! Every couple weeks, if not more often – I get a real craving for Mexican food. I don’t think I’m the only one, right? I try not to eat out at Mexican restaurants too much – only because I know there are so many sneaky calories in some of my favorite dishes. 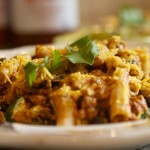 So in keeping with a healthy waistline, here is my VERY FAST & EASY Mexican Pasta Recipe. This is one of those go-to, last minute, “What’s for Dinner? Recipes” – and I usually have all the ingredients in stock! tortilla chips -crumbled for crunch! cook pasta noodles, drain water. brown meat in large skillet with cooking spray or a splash of olive oil. add 1/2 cup of Bien Good Sauce. remove meat from pan – set aside while veggies cook. sauté zucchini and pinch of salt and pepper for 2 minutes (add more oil or cooking spray if needed), add corn and beans. cook through a couple minutes. add meat back to pan/veggie mixture. stir in rest of Bien Good Pasta & Enchilada Sauce (1 cup) and pasta noodles. right before serving add shredded cheese. i like it super saucy with greek yogurt and maybe even a couple tortilla chips crumbled on top too. 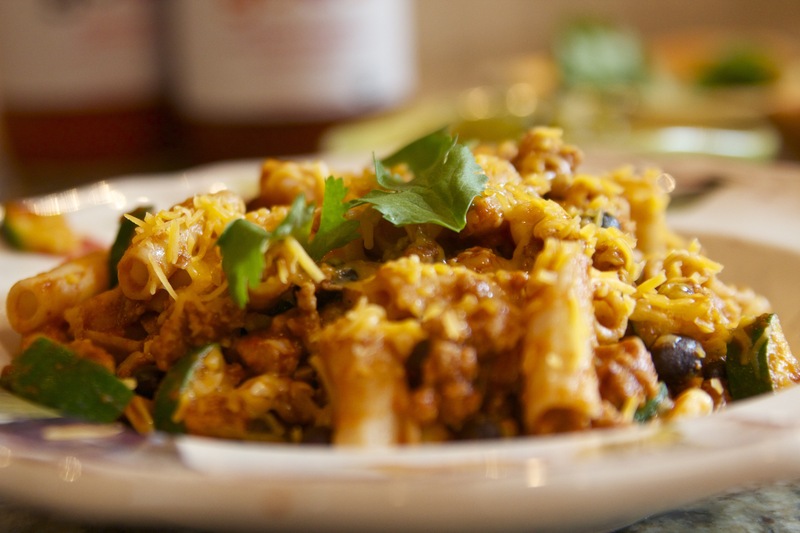 a healthy way to satisfy your mexican food craving!